The summer I was twelve, mowing lawns with Grandpa's old riding mower turned into big business. With advice from Arnold the stockbroker, I learned all about making money. Six weeks and hundreds of thousands of dollars later, life got more complicated. You see, the prizefighter I sponsor, Joey Pow, won a big fight. And a TV interview made me famous. As Arnold says, "Capitalism plus publicity equals monster commerce." Even my best friends wanted a piece of the action. 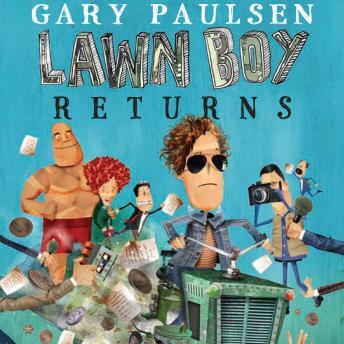 Meanwhile, some scary guys showed up at Joey's gym. . . . Gary Paulsen's funny follow-up to Lawn Boy is full of big surprises and big laughs. This book was really enjoyable. My son and I laughed out loud at the events. We recommend this book to young teens and tweens.